This course will help you understand how it is possible to communicate in different ways in a variety of situations. These include communicating face to face and by telephone. You will look at body language, ways of asking questions and who to ask for help in different circumstances. 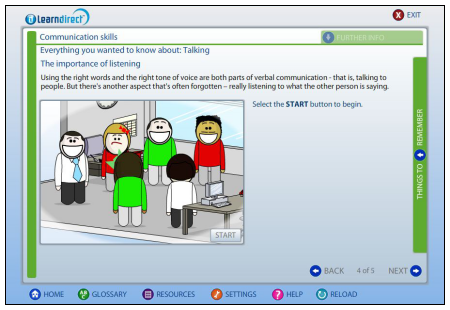 The 'Practice makes perfect' section allows learners to have the chance to practice what you have learnt about Communication Skills. The course is aimed at younger learners below the age of 19. A learndirect certificate will be emailed to you when you have successfully completed each course level.